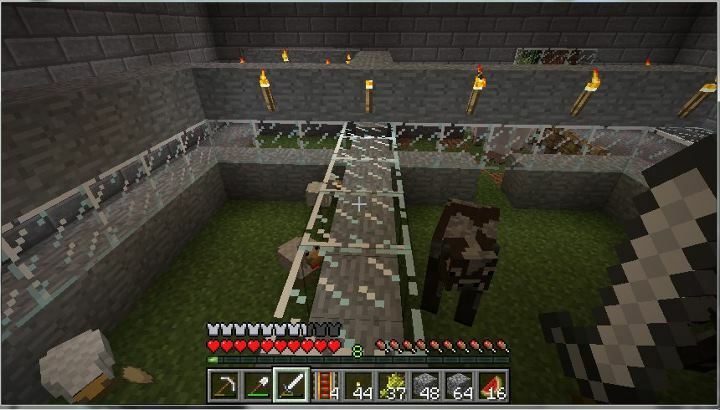 A few weeks ago I made a post about the Minecraft for the XBox 360. 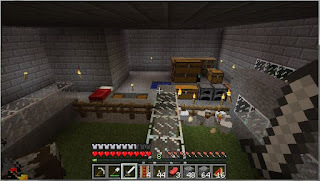 After one session, I was feeling the desire to play more Minecraft with friends, but couldn't at the moment. 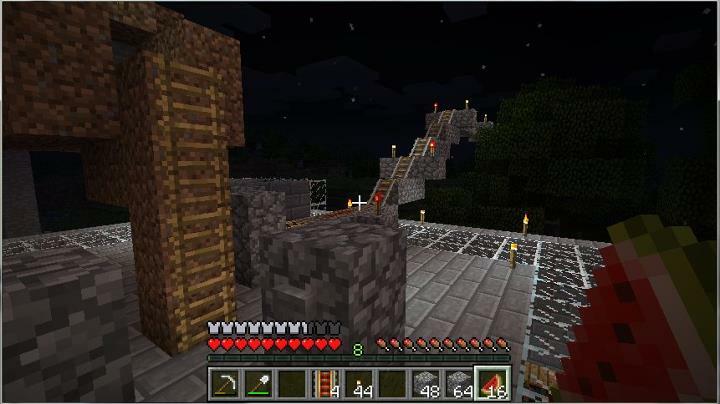 In my boredom, I decided to fire up the PC version of Minecraft and play with it a little bit. 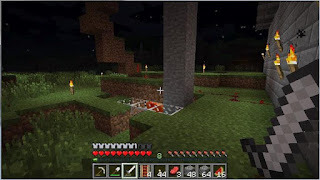 I spawned in a lightly forested area with many hills nearby. I saw a nearby village. I quickly picked a nearby hill and built a small hobbit hole inside, then raided the nearby village for wheat to make into bread so I had something to eat. After that, I set to work on surviving the night, harvest more wood, and building some animal pens. 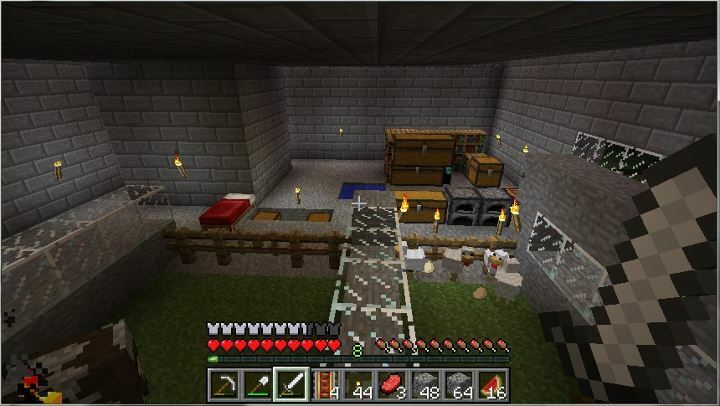 After I had done some extensive mining, I decided to turn the hole that I lived in, into a house. A beautiful stone brick house! 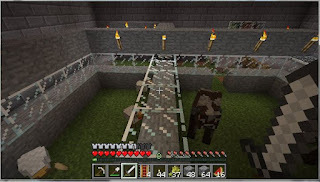 Lately, my house got the addition of a contraption that creates smooth stone, as well as some minecart tracks that don't go anywhere particularly useful (well, one heads to the nearby abandoned village). 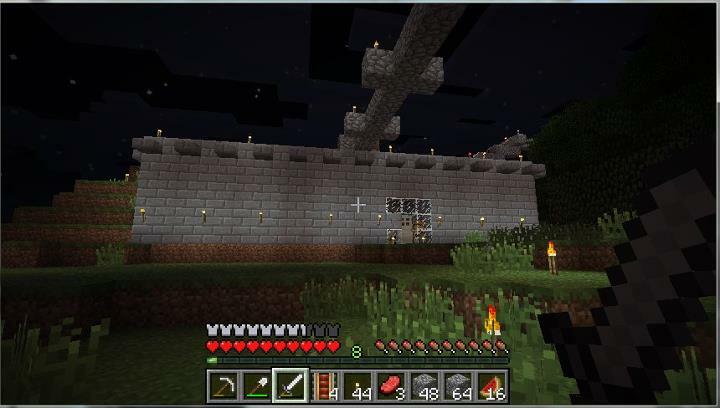 One of the things that I enjoy about Minecraft is the ability to imagine something, and then build it! There's something enjoyable about creating something. I'm not a particularly creative person, so my designs tend to be a bit on the functional side, although I'm loving the spiral staircase I built (feels like climbing up a castle staircase). 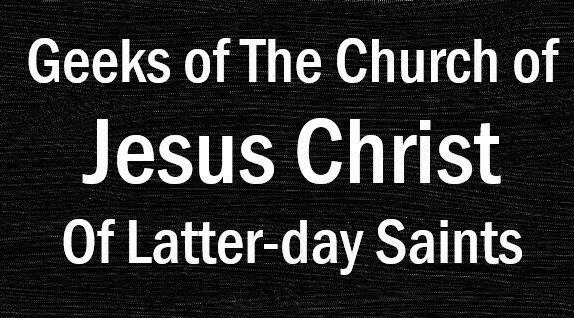 So, a question for all of you Mormon Geeks fans (I know you exist! ): what would you like to see me build in Minecraft? (A list of possible building materials can be found here). Here's how this will work: leave a comment to this post. Over the next few days I'll review the suggestions and select one or more of them to build. So, start suggesting away! I love seeing Minecraft creations! OK, I would love to see a 3D picture. One, where you could walk on top of the various layers(probably glass), but once you get to the top and look down, it's a complete picture.